Recently a family member gave me a lot of information about why national borders are not automatically entitled to respect. His most salient point was that throughout history wars have been the automatic outcome of one country expressing an undue interest in the borders of another country. Sure, there are some national borders which are worth fighting for. Yet in many situations the automatic call to war is an outdated notion, and a shift in borders can be the correct way to proceed, particularly with more recently established borders. We’ll start with the Crimea, and then move to Somalia, then to North and South Korea, all of which have borders of fairly recent origin. The Crimea is a small peninsula jutting into the Black Sea, with one end tied very tentatively to the south European Republic of Ukraine. It is presently an autonomous republic, yet is considered to be within the national borders of the Ukrainian nation. Another end of the Crimean peninsula is tied quite closely to the mainland of the nation of Russia. In land area it is almost the same size as the US state of Massachusetts (our seventh smallest state). With regard to the present situation in the Ukraine, it’s entirely possible that Russian President Vladimir Putin is entirely correct in his mind in his actions, which appear to include seizing the Crimean peninsula away from the Ukraine. Russia has for years maintained active military bases in the Crimea. More than sixty per cent of the residents of the Crimea are ethnic Russians who are still loyal to the mother country. The Crimea has all along maintained its status as an autonomous republic within the Ukraine, and has looked more toward Russia than to the Ukraine for both its governance and defense. Since the breakup of the Soviet Union, followed by the independence of the Ukraine in 1992, the borders of the Ukraine have become problematic. When the Ukraine separated from the dominance of the Soviets, it took the little peninsula of Crimea with it. Only at that time did the border of an independent Ukraine become fully fixed as an entity that included the Crimea. So, this is a border which has not only recently become fixed, but has also become a rather strained interpretation. There should be no problem integrating the Crimea into the nation of Russia. It would require the re-drawing of national borders, and this is where weighing the old and faded and atavistic doctrine of national borders comes in. People are already calling for WAR if Russia persists in holding onto the Crimea. This is the ancient blood reaction when borders are redrawn. It is unlikely that any sort of talk of war will affect Vladimir Putin in any way. These are modern times, and the borders being redrawn are quite recent and have no history to support them. It is not proper for us to comment on the other eastern portions of the Ukraine which Russia might eventually try to claim. This additional incursion is not likely to happen, and there is very little information to support any analysis of a correct outcome of such an event if it does happen. The US certainly has no interest in going to war with Russia over the Crimea. Neither does the European Union. And the Ukrainian military would last about five minutes in direct combat with Russia. So let’s look at the possibility that Vladimir Putin is correct, and the “hot” border contest is not a central feature of what is going on. The redrawing of this border may be simply a rational geographical restructuring which has been put off for too long. Putin has a majority of ethnic Russians in the Crimea, a series of well-settled Russian military bases on the soil, and history on his side. It may be that the Crimea is simply a part of Russia which the nation is now reclaiming. These Somali “nations” only really came into existence in the early 1960’s, when they were granted independence from their European overlords. Most of the rest of Africa has achieved at least a nominal level of stability since the withdrawal of the colonial powers. The Somali region has never been able to achieve any sort of stability, suffering changes in government every few years and internal wars raging incessantly. 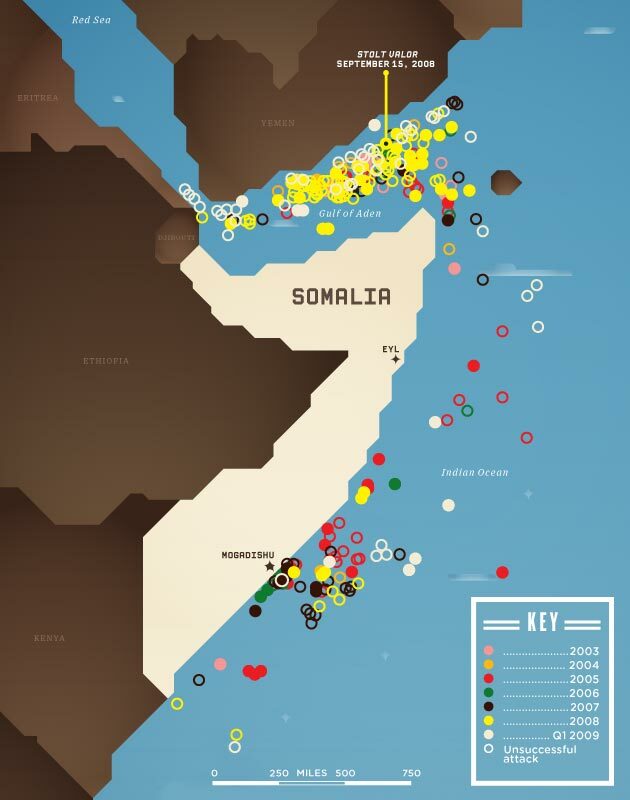 One of the primary reasons Somalia is a failed state is that no one can agree on the internal borders. Everyone involved is more than willing to go to war, particularly for the internal borders, which are really just atavistic ideas in the minds of people who have nothing better to do than fight. The various internal combatants draw lines in the sand, sometimes at fifteen mile intervals, and then feel totally justified in shooting or hacking to death anyone who crosses the lines. In the larger scheme of things these lines drawn in the sand are usually related to the location of natural resources and arable land, and minor ethnic identities. In some ways, though, these internal lines are no more meaningful than the shifting sands. On a very local scale the lines give people a sense of meaning and something worth fighting and dying for. And they do die and are maimed, in large numbers. Such ancient tribal border principles are totally out of fantasyland in today’s global society. Corrupt soldiers and tribal leaders of every kind, on all sides, proclaim that they are the good guys, and the people on the other side of the line are bad guys not worthy of staying alive. If you back up just a few miles from the site of any internal Somali border dispute, though, all the participants look and act the same. And in the dark, they all look grey. And from this even slightly distant perspective, they are all bad guys, all of them on both sides of each dispute. Besides being “bad guys,” though, almost all of these small forces are just regular people with fears and worries in their hearts, just like people all over the world. Yet they shoot and maim their neighbors because of some deeply ingrained atavistic tribal principles and a very local us versus them mentality. Somalia will never be anything but a failed state as long as the residents draw local border lines every fifteen miles and persist in the illusion that there is no humanity in those on the other side of those imaginary lines. Local internal borders prevent any and all efforts to achieve modern nationhood. And the internal border way of thinking will likely not change at any time in the foreseeable future. Therefore the best thing to do might be for the neighboring countries of Djibouti (which has a significant Somalian population), Ethiopia and Kenya to divide up the whole Somali area. Declare these partitioned borders which include contiguous parts of the former Somalia to be colonial possessions of these countries, and send in colonial administrators to restore order and attempt to restore the viability of the local economies. Somalia, Somaliland, and the Ogaden area simply have not demonstrated the ability to overcome their internal tribal and regional borders in order to build a modern country. It’s time these failed states ceased to exist as independent countries. A deep insight might observe that the border requires so much military maintenance not because the “two nations” hate each other: but because there is a natural affinity and cultural connection between the Koreas that draws them inevitably together such that only a fanatical defense of the “border” by outside forces can keep them apart. Romeo and Juliet, where art thou? Your article shows nothing but your incompetence and lack of glimpse of knowledge on the conflict in somalia its roots, and the role of externals! read, read and read the ample literature on the topic, that is my uninvited advise but generous !